To expand the sales geography, Gusar has selected reliable partners among the major package supply companies. Dealer agreements have been signed with the most reliable and promising partners. 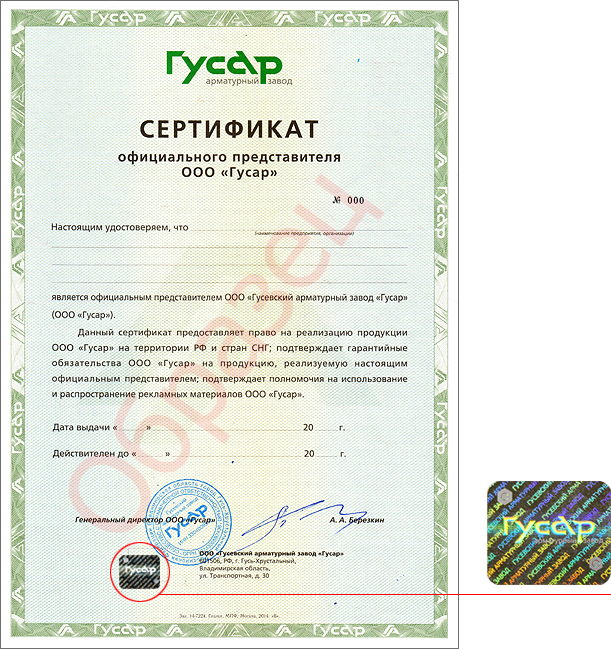 All the companies listed below are Gusar's authorized representatives in Russia and CIS countries. The only way to protect yourself against counterfeiting (remember that your safety is on stake) is ordering directly from the manufacturer of pipe fittings or its authorized representative. Please note that if Gusar products are sold by a third party that is not on the list of authorized dealers, but presents the authorized representative certificate, you have every reason to doubt the authenticity of the certificate. You can always contact Gusar for confirmation and request any information concerning the supplier's reliability. 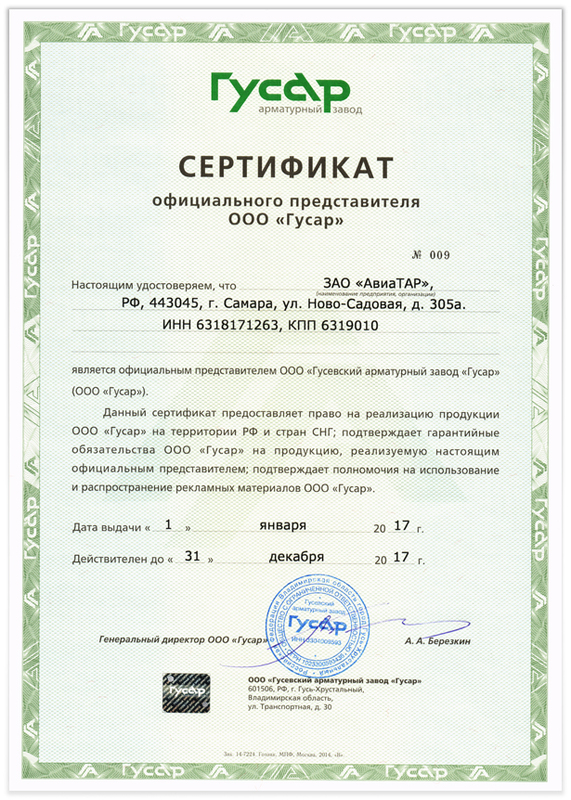 Gusevo Valve Plant Gusar denies any liability for products supplied by unauthorized third parties presenting fake certificates. 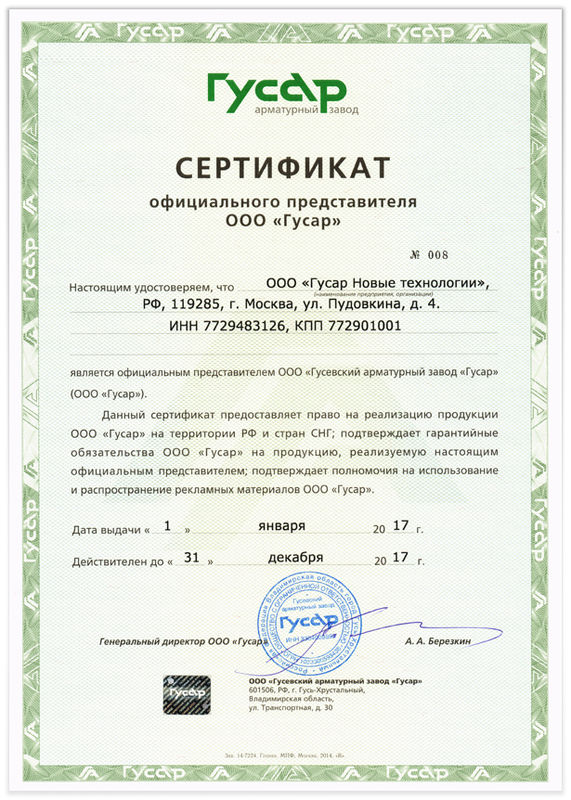 To expand the sales geography, Gusar invites partners in Russia and CIS. 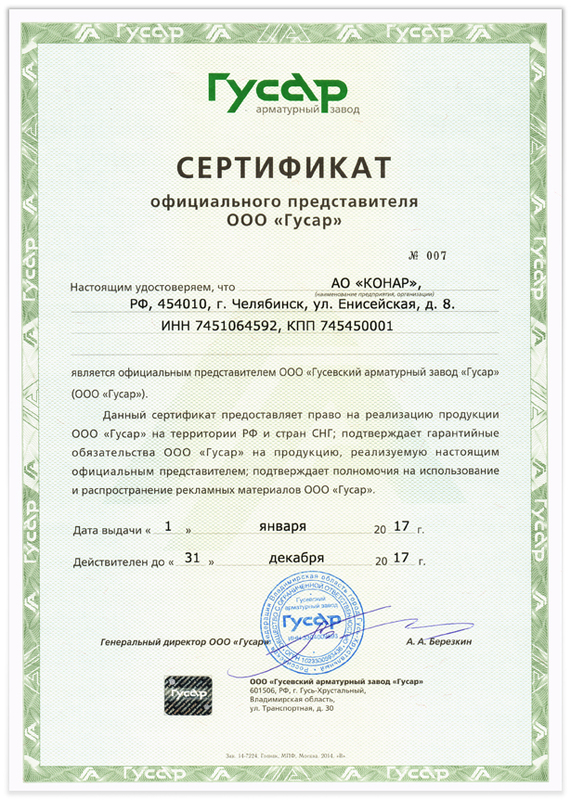 The Authorized Representative Certificate authorizes the holder to sell products by Gusar in Russia and CIS, evidences the high quality of the pipe fittings and the fact that the product is covered by the manufacturer's warranty.